Exponents represent an abstract unit whose value correlates to a given number. In a way, exponents are like shorthand for multiplication; they indicate the number of times a given value will be multiplied by itself, so they pack a lot of power. 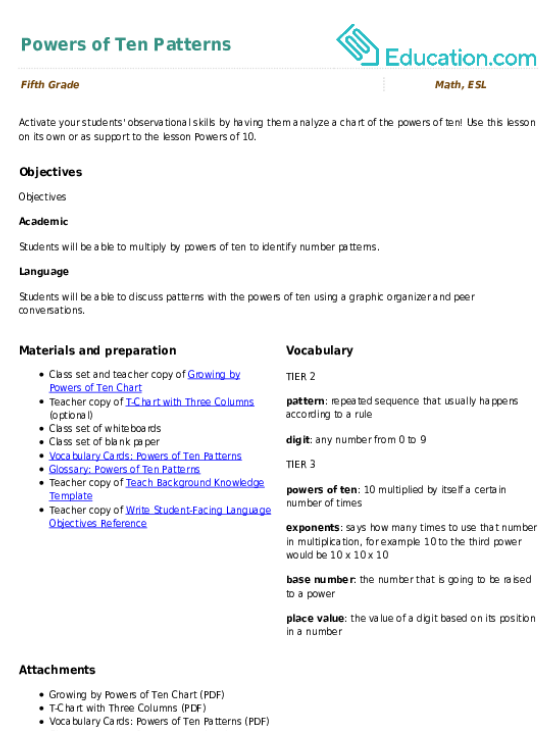 Use the resources on this page to develop a clearer understanding of why and how 23=2 × 2 × 2. This worksheet introduces fifth graders to a friend who can help them remember the order of operations: PEMDAS! This acronym stands for parentheses, exponents, multiplication, division, addition and subtraction. 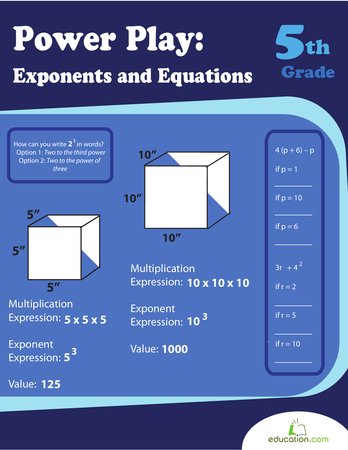 Help your fifth grader tackle exponents with this introductory worksheet. 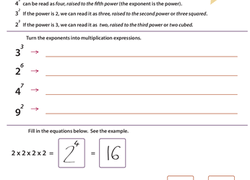 Help your fifth grader tackle multiplying with exponents with this algebra worksheet. 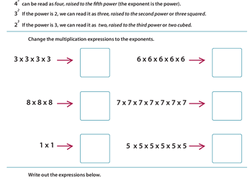 Demystify the concept of exponents for students with a simple round of practise with this exercise. Don't let your kid be intimidated by exponents. Exponents are easy to learn with this simple step-by-step worksheet. Introduction to Exponents: What Is an Exponent? 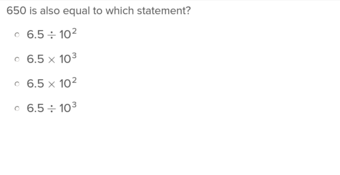 This worksheet provides students with an explanation of how to simplify an expression using exponents. This worksheet provides a great way to test students' knowledge of maths vocabulary and maths reasoning. Do your students understand the power of 10? This lesson will allow your students to see the utility of the power of 10 in mathematics and come to a concrete conclusion of how 10 impacts the value of mathematical equations. Practise with Exponents: There’s More Than One Way to Write a Number! This year, fifth graders will be introduced to the idea that there are many ways to write or represent numbers that are multiplied by themselves. This worksheet introduces students to a key pre-algebra concept: Every time you multiply a number by another number, its value increases. Raising an exponential expression to a power isn't half as difficult as it sounds. Challenge your fifth grader to give it a try with help from this worksheet. Don't let your fifth grader despair--when the base numbers are the same, dividing with exponents isn't tricky at all thanks to a helpful formula. Multiplication is essentially repeated addition, or growing numbers by doubling, tripling, quadrupling, and so on. This unit presents mental models and strategies that help students learn and review the concept of multiplication. Students explore multiplication using arrays, partial products, doubling methods and the standard algorithm to solve numerical and word problems. Students will multiply whole numbers and simple decimals by base ten exponents (i.e. .3 x 103). 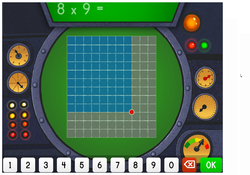 Help your students master decimals with this engaging maths lesson. Your class will put their art skills to work creating a poster, and will practise mathematical explanations through peer collaboration. How are cubes related to exponents? This worksheet helps students to explore this topic by explaining that when you “cube” a number you are multiplying it by itself two times. This is a great challenge for fifth graders learning how to evaluate an expression. Use this worksheet to help your students see the patterns within the powers of ten. Use these vocabulary cards with the EL Support Lesson: Powers of Ten Patterns. Use this glossary with the EL Support Lesson: Powers of Ten Patterns. Activate your students' observational skills by having them analyze a chart of the powers of ten! Use this lesson on its own or as support to the lesson Powers of 10. 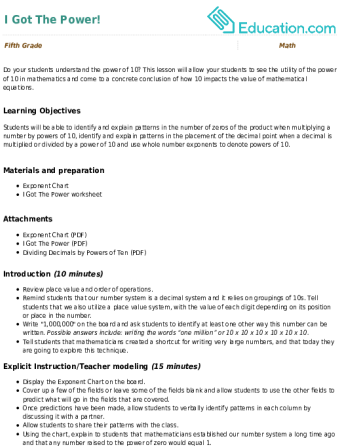 An exponent is a useful tool that shortens mathematical formulas used in economics, chemistry, computer science, and many other fields. 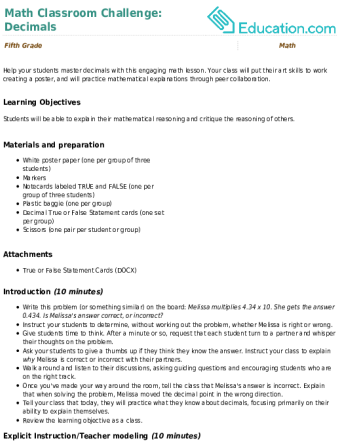 Mathematical operations involving exponents contain two numbers, a base (B) and an exponent (N). The exponent indicates how many times the base must be multiplied by itself. Thus, exponentiation results depend on the values of both base and exponent; are they positive or negative, integers or fractions? Practise calculating mathematical operations containing exponents by utilizing the resources on this page, and your skills will increase exponentially!